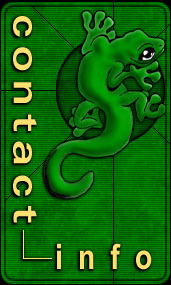 Gecko Graphics is located approximately 25 miles West of New Orleans. Open since 1989, we continue to expand our horizons with new products and services. We constantly upgrade our equipment and seek to be more efficient in our production. Our longevity and low turnover in personnel insure a quality product and the security that when you return to reorder we are here and will consistently give you the product with quality you expect and deserve. Our business is based on return customers. Without them and the continued referrals to others, we would not be where we are today. Operating with very low overhead costs, we are able to offer our services far below those of our competitors. We use name brand apparel such as Jerzees, Hanes and Gildan. We Screen Print T-Shirts, Embroidery & we can also provide Promotional items for your Company or Organization. We invite you to become one of our many satisfied customers. We guarantee you will be glad you did!